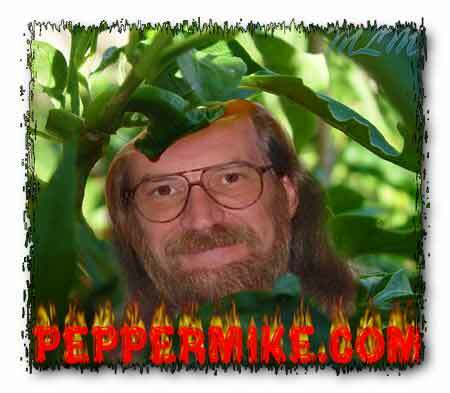 Hello fellow PepperHeads, PepperBuds & those interestered in naturally grown Peppers, Tomatoes, Herbs or basically anything you grow & are interested in growing organically. I for one will happily agree I'm a PepperHead who's dedicated to growing AND eating all kinds of peppers & do it in an organic fashion. Most people will agree that 'home-grown' & especially "Organically Grown" fruits & veggies have a better taste as well as more vitamins etc. So if you're intersted in growing your own we sell seed for Peppers, Tomatoes & Herbs as well as Reclosable Plastic Bags for many uses in many sizes. Please feel free to e-mail us with any questions, that's what we're here for! Unless otherwise noted all images and photography on this site © 2014 by PepperMike Muncy. NO reproduction or use other than studying from this site is permitted and is considered copyright infringement. We would just love to put up some images without our Logos all over them but some just dont' understand the laws pertaining to this.